The Briton's 68th career victory and sixth this year stretched his championship lead from 17 points to 30 ahead of Sebastian Vettel. 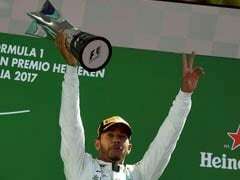 Championship leader Lewis Hamilton delivered one of his greatest races Sunday when he wrecked Ferrari's homecoming party as he stormed to a record-equalling fifth Monza victory at the Italian Grand Prix. 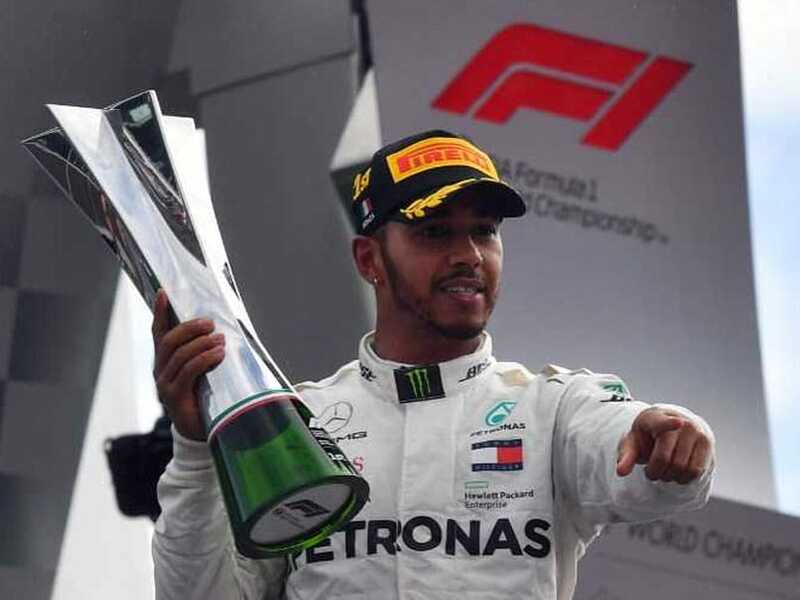 The defending world champion produced a perfectly-judged race of raw aggression and astute tyre-management in his Mercedes to finish 8.7 seconds ahead of Kimi Raikkonen, who had claimed pole position in a Ferrari front row with the fastest lap in Formula One history. The Briton's 68th career victory and sixth this year stretched his championship lead from 17 points to 30 ahead of Sebastian Vettel, who finished fourth in the second Ferrari after spinning on the opening lap following a clash with the Briton as he passed him at the second chicane. 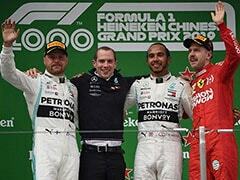 Hamilton's Mercedes team-mate Valtteri Bottas came home third ahead of Vettel with Max Verstappen taking fifth place in the classified result, after finishing third on the track, following a time penalty for a late brush with Bottas. 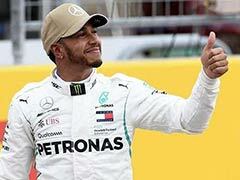 The Briton's fifth win in Italy brought him level with seven-time champion Michael Schumacher in the record books, but his triumph was unpopular with the massed Italian fans. 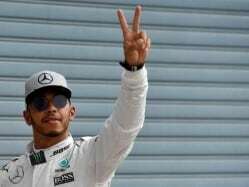 "I want to give it up to Ferrari who put up a great challenge and gave us a great fight," said Hamilton. "I want to thank the guys here and everyone back home - without their belief it wouldn't have been possible. "There's been a lot of negativity, but there were a lot of British flags out there today. They know who they are. In future, I only want to turn a negative to a positive. Thanks to Valtteri too! We never give up." A disappointed Raikkonen said: "I was quick enough, but unfortunately our rear tyres went and it was a losing battle from that point. I tried, but it was impossible..."
Bottas said: "I was really trying to do everything I can to get to the podium - as a team, we take this result. We got more points than Ferrari in their home." After a dry morning, there was rain in the air. When the lights went out, Raikkonen pulled away to lead, as Hamilton attacked. Within seconds, he passed the German on the outside at the Roggia chicane. Taken by surprise, Vettel could only under-steer into the Briton's sidepod before spinning off. He rejoined 18th while the defending champion chased after the Finn. "That was silly," said Vettel. "Where did he want to go?" A safety car was deployed, enabling Vettel to pit for a new wing. Racing resumed on lap four as the stewards announced they were taking no action, declaring it a "racing incident". 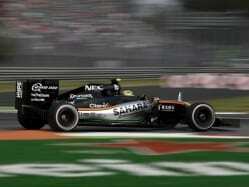 Hamilton demonstrated his commitment again by passing Raikkonen to lead. Unfazed, the Finn retook the lead as the crowd went wild. Vettel was carving his way through the field and rose to seventh by lap 20 when Raikkonen pitted, handing the lead to Hamilton. 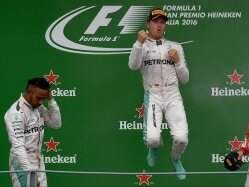 "It's hammer time, Lewis," Mercedes told their driver as he sought to build a lead worthy of a pit stop. Raikkonen, third, found himself 2.6sec behind compatriot Bottas before Hamilton pitted after 27 laps and rejoined third. 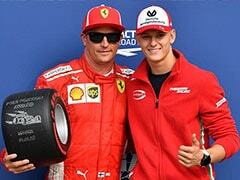 Mercedes's message to new leader Bottas was clear: "Keep Kimi behind you." Vettel pitted again on lap 30, rejoining 10th, while Hamilton flew, trimming the gap to Raikkonen to 1.6sec with stunning laps while Bottas kept Raikkonen at bay. By lap 34, the top three were separated by 0.7 seconds, Hamilton closing in on Raikkonen who, trapped between the two silver arrows, also had blistered tyres. Bottas finally pitted after 36 laps, leaving Raikkonen leading Hamilton by 0.7 seconds, but both men were nursing their tyres for the finale. 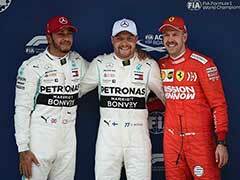 Bottas rejoined fourth behind Verstappen, but was soon hunting third. When he attacked at the chicane, Verstappen squeezed him. The Dutchman was handed a five-second time penalty by which time Hamilton was leading, having passed Raikkonen on the outside at the Rettifilo. "Nice work," said Mercedes as Hamilton surged clear of the Finn by 1.5 seconds. 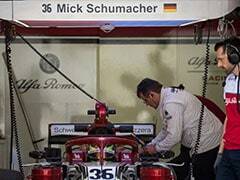 "Take care of the tyres, we need to bring the car home," said Ferrari. The tifosi, deflated, began heading for the exits.